B&B Theatres is proud to operate facilities in wonderful and caring communities across seven states. 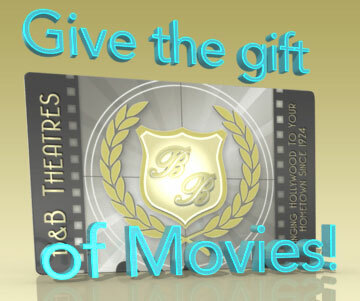 To show our commitment to these towns and in an effort to give back, B&B Theatres has developed a series of yearlong drives, promotions, and fundraising efforts to benefit Variety: the children’s charity, one of the world’s most compassionate and innovative charitable organizations dedicated to improving the lives of disadvantaged children. While Variety is an international organization, every dollar raised by B&B Theatres and contributed to Variety remains in B&B towns, providing services to families and children in need in the communities in which the company operates facilities. B&B Theatres has donated and/or raised tens of thousands of dollars annually for Variety, and the charity has enriched communities, strengthened families, and changed lives. We are grateful to be involved in their outstanding service.